If everything I created is protected by the copyright; No one can use it without my permission. Why would I need to register it as a trademark to protect it? If something is too simple to create, it cannot be registered as a trademark, it's the same as how copyright works. Therefore, if my logo (not logotype) can be registered as a trademark, then I have the copyright of my logo. So, what's the point to make a logo as a trademark? Only because trademark can be owned by a company not just a person? Copyrights protect the mark as is, and derivatives of it, but does not protect the brand from look a likes or from new trademarks that would be confusing. © 2018 A. K. all rights reserved. There it is my new logo for my cola company called Hep-C (I'm raising awareness). 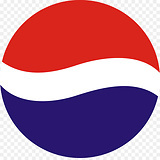 Under copyright law Pepsi could not come after me because the logo is my own creation. I could even call it Pepsi and it would not be a copyright violation as you cannot copyright words. 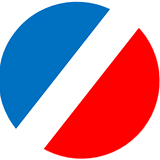 However, Pepsi has better lawyers than that and with my trademark so similar to theirs and the name sounding so similar (and my new name being potentially disparaging to Pepsi) it would likely confuse consumers between what was Pepsi and what was Hep-C thus under trademark law it would be disallowed for commerce. Now you would have common law trademark protection by virtue of using your mark in commerce, but it would only be for the states in which you used it. Additionally a lack of a registered trademark would disallow you from seeking statutory damages under 15 U.S.C. § 1117. So, what's the point to make a logo as a trademark? The general answer is that copyright and trademarks provide different kinds of protection. Speaking very broadly, copyright protects against unauthorized copying and distribution with some fair use exceptions. Trademarks protect a mark from being used by others in a way that might confuse consumers. Additionally, copyright has limited (but long) duration, while trademarks can theoretically be protected indefinitely. However, i'm going to spend the rest of this answer addressing some misunderstandings. This is true for copyright (though a very low bar), but simple things can in fact be trademarked. Trademarks are industry specific, for example, UPS has trademarked the color brown. No, trademarks and copyrights are separate processes. Copyright is in fact inherent, no registration is required (though necessary in the US to get statutory damages). Only because trademark can be owned by a company not just a person? At least in common law countries, both trademarks and copyright can be owned by natural persons or companies. Let's look at this the other way round, say I am starting a new company I do not wish my customers to be confused by having a logo that looks like your logo. But as you are not operating in the same town as me I do not know what your logo looks like or even that you may be expanding into the town I am operating in. By registering your trademark using a well written description of it I can search the trademark database and find your trademark and hence avoid a lot of confusion for both of our customers. Copyright may prevent your logo from being copied without license, including pointing to your product and advertising it. It would be sort of a bummer if a shop did not include your products in its ad leaflets because you'd have copyright claims on your logo and it would be too much work for them to get explicit permission from all product manufacturers to use their logos. In other words, copyrights and trademarks protect different things and most particularly imply permissions for different kinds of usage. It's also worth noting that particularly copyright has grown to cover a whole lot more than it was originally designed for. When copyright was created, computer programs and music and movie (or actually any mechanical) recordings did not exist. They were sorted into copyright's reign and subsequently copyright legislation was grown to become more and more encompassing. In contrast, trademark law has not been extended all that much, and the U.S. extension of patents to also cover designs and software methods has by no means seen international adoption. So it's sort of natural to think of copyright as the go-to tool for everything, but particularly where you actually want wide dissemination, its encompassing default protections are a mixed blessing. Not the answer you're looking for? Browse other questions tagged copyright trademark or ask your own question. What exactly is the distinction between copyright and patent? Can I trademark a logo that contains a font licensed under SIL OFL?